SILI PUMP can supply good quality marine cooling pump used on board ships or vessels. These marine cooling water pump are used for marine and offshore industry. And it is basically divided in to sea water cooling pump (SW cooling pump for short), and fresh water cooling pump (FW cooling pump for short). It is a kind of popular engine room pump used in vessels or ships. A lot of equipment onboard a vessel or offshore platform generates heat. And the heat needs to be removed. And a good way to do this is to cool it with water. This could be the case for cooling units, heat exchanger, air conditioning, refrigerator and so on. Fresh water cooling pump is usually used to remove this surplus heat. But sometimes it can be also the seawater cooling pump. The typical application for the marine cooling pump is for the centre cooling unit or centre heat exchanger. Here, the fresh wateris supplied by the fresh water cooling pump in high temp. It is cooled by the sea water, which supplied by the sea water cooling pump with lower temp. The fresh water is less corrosive than sea water. It is used for cooling the main engine or auxiliary engine directly. The system can be designed with two or three marine cooling water pumps. Usually one is in service and others in stand-by. The marine cooling pump is crucial for the operation of the vessel. And they are always running. These marine cooling water pump is sometimes called HT/LT water cooling pump. Marine cooling pump circulate the water a high efficient. It is needed due to the many running hours required. SILI PUMP can supply highly specialized marine cooling pump for marine and offshore application. These marine cooling water pump can service with a long lasting and reliable performance. 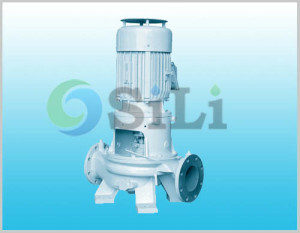 SILI PUMP is a reputation marine cooling pump supplier and manufacturer in China. Click the following suggested pump link to find a suitable model: marine cooling pump. Google+, click for marine pumps application. Linkedin, click for marine pumps application. Google+, click for marine cooling pump. Facebook, click for marine cooling pump. Any inquiry or comments about the marine cooling water pump, just contact us.